A continuous and conscientious quality assurance according to ISO 9001:2015 is the basis for the excellent and exemplary cooperation with all our customers. Modern measuring machines and measurement methods create the necessary prerequisite to reach the highest national and international requirements. All data and evaluations are stored in a central database. Due to the personal commitment, dedication and responsibility of each employee, we guarantee the highest quality and services on our products. Integrated into this system is the careful use of resources, raw materials and our environment. 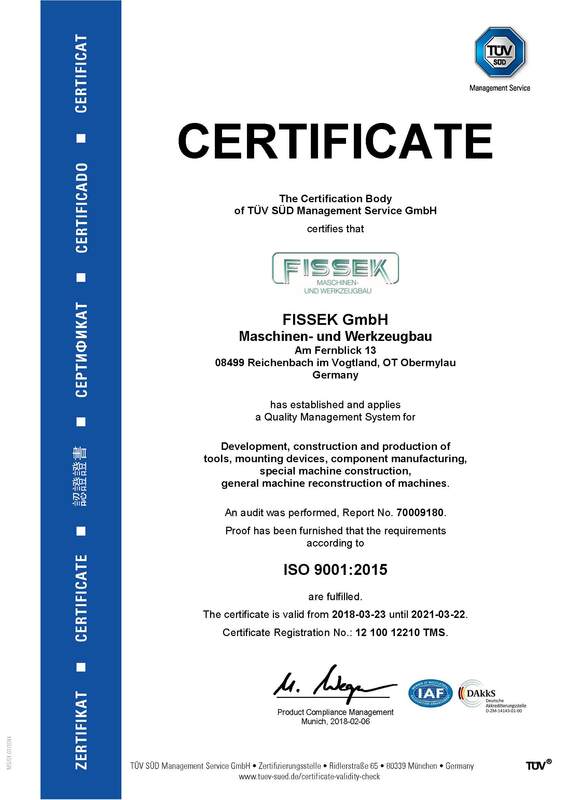 You can be sure as a customer of FISSEK GmbH that you will always receive high quality products.